Kathy, connecting with you and your work in person or through your writing is a direct-from-the-source infusion of self-confidence and can-do high energy. 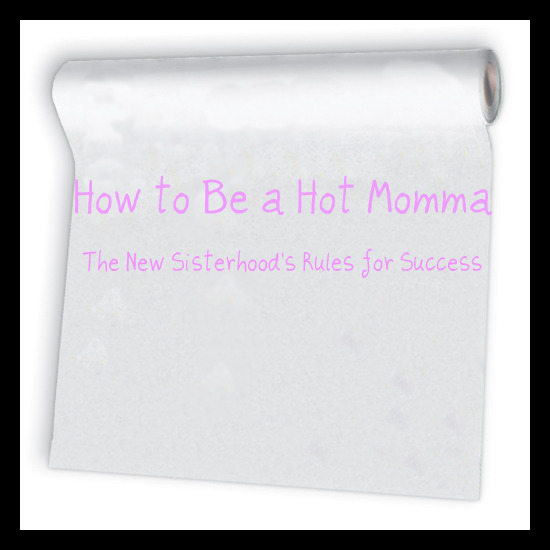 What I love most about The Hot Mommas Project and this book is that your models are REAL and TACTICAL, and you present everything in such a stunningly well-organized way that it leaves me breathless (can’t wait to make my way to chapter 3!). Actually, what I love MOST is that in a world that all too often preys on our weaknesses, you inspire and support us in being our best, most powerful selves. And the bonus is that you keep us laughing and riveted as you do. Thank you Laura. This means a lot, and I so appreciate this feedback. What I like about your writing is that you don’t pit women against each other. I’m so tired of the “stay at home” vs. “working mom” debates. As women we don’t do ourselves any favors by taking up positions of who has made the “better” choice. Your book proposal makes it clear that there are many paths, many choices and that we need to choose the one that makes sense for us…not our sisters, co-workers, mothers, mothers-in-law, etc. I’m going to sign up for your newsletter to be notified when the book comes out. Sounds like a great read! Wow — way to make this happen! Love it! Thanks so much Susan. See you in the Twittersphere! Kathy – I love “you have something in your teeth.” My first image was “grit,” a prime ingredient in the making of a Chief Hot Momma. I see another goal for this and related work. The world has been absent the feminine in leadership across many domains. The prevailing culture and the world NEEDS us. If you, this project, your book and more are the genuine article – interested in achieving the vision above all else – I will charge forward with you and for you full steam ahead! Anne – you are a poet! I love what you have done with something which – honestly – is a common occurence for me (stuff in my teeth – and, actually, my hair too truth be known). Your words of encouragement mean a lot. I am trying to get this book proposal out this summer. Hollee, Thank you! And I wish you the best of look with your book and look forward to reading it! This is an absolutely FANTASTIC idea. We need this book. Everyone!